The large lamp Tiffany Nice is made with a stained glass window made of real glasses assembled according to the method of Louis Comfort Tiffany on a metal mount. As part of the harmonious series of Nice luminaires, using genuine opalescent glasses handcrafted and soldered with tin, this large Tiffany Nice lamp rests on a patinated metal foot, bronze color. It is equipped with a switch and a wire block system (at the base). Like all street lamps in the collection, it meets CE and RoHs standards because it contains neither lead nor mercury. Height: 62 cm - Diameter: 41 cm. With its reputation of 100 years ago, the large Tiffany Nice lamp is a very important object to enhance the interior of the house. As light is very indispensable in everyday life, it provides a soft and soothing light once the darkness comes up. 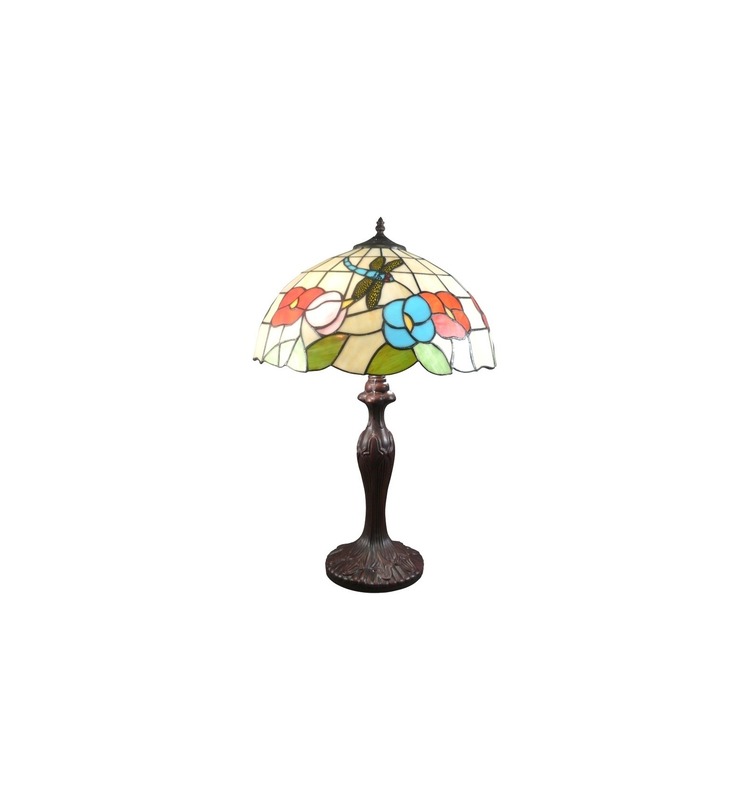 But it is also a real object of decoration, made according to the artisanal method of "Louis Comfort Tiffany". With its imposing size, it combines class, elegance and refinement to adorn your home like a royal palace. 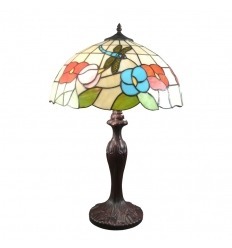 This Tiffany style lamp can be installed in different rooms, even on the ground. This new work of art will be in perfect harmony with the other elements of the series such as the lamp, the lamp, the wall lamp, the small lamp and the chandelier. Thanks to the use of stained glass made of real glasss its creation, the large lamp Tiffany Nice will diffuse a warm and luxurious light. Indeed, it is handcrafted mosaic stained glass windows from a blend of a hundred semi-opalescent white glasses, glasses blue sky, red, lime green, amber yellow, emitting dazzling light rays making you breathe a romantic atmosphere of antiquity. Thus, this fixture could keep its charm of yesteryear. It is sold electrified for two bulbs with a base E 27 of 60 watts max.